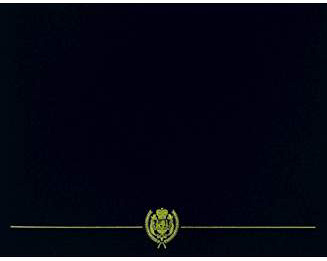 An unaltered photocopy of your ERB, ORB or DD-214 displaying your qualification. If your Air Assault qualification is not displayed on your DD-214 you must provide a copy of your DD-214 -AND- a copy of your authorizing documentation. Authorized for qualifying performance per standards set at time of testing (which may vary at different times and at different test installations), or active field Service. 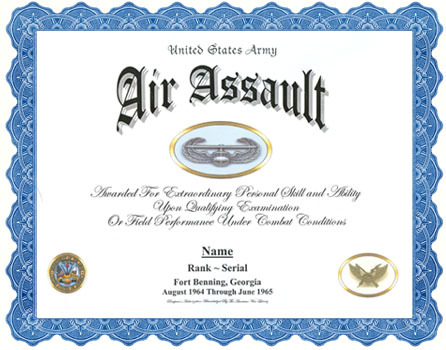 The Air Assault Badge is retoractive to 1 April 1974. SPECIAL NOTE: Operation RetroActive Recognition seeks to have this badge automatically authorized retroactively to all multi-branch United States military and civilian personnel (and foreign personnel transported on United States rotary-wing aircraft) who served in Korea and Vietnam on helicopter transport for immediate or subsequent battlefield service.